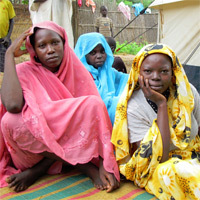 When Sudan becomes two countries on July 9, 2011, the two new states will face multiple urgent crises. Provocative military action by the Government of Sudan, especially the invasion of Abyei, has aggravated tensions and threatens a new international conflict between North and South Sudan. In the North, Darfur’s conflict has deepened during the past year and violence has broken out in South Kordofan. Northern-stoked militia violence threatens the stability of the South and is exacerbated by abusive and indis- criminate southern responses. Across both North and South humanitarian access is worsening and human rights abuses are increasing. The United States led a concerted international diplomatic effort to secure a peaceful, timely, and respected referendum for southern independence, but that success is now at risk. Diplomatic efforts revolving around the provision of incentives to the Sudanese government have run up against Khartoum’s skillful and brutal use of military means to change facts on the ground and to break and renegotiate peace agreements. At present, the international response to these crises remains focused on cobbling together tempo- rary fixes, rather than pushing for a long-term resolution. Without a change in approach, Sudan’s internal strife will become an international conflict that could threaten the wider stability of the region and will certainly cause new levels of human suffering. Averting this scenario will require continued robust diplomacy, but also a willingness to impose consequences on actors who undermine peace by committing war crimes, breaking agreements, and promoting violence.